Get Ready for Closing Day! **Hint** Don't Forget to Create and Send Your Invoice to the Title Company - Along with the Original Purchase and Sale Agreement, and the Completed Assignment Agreement! 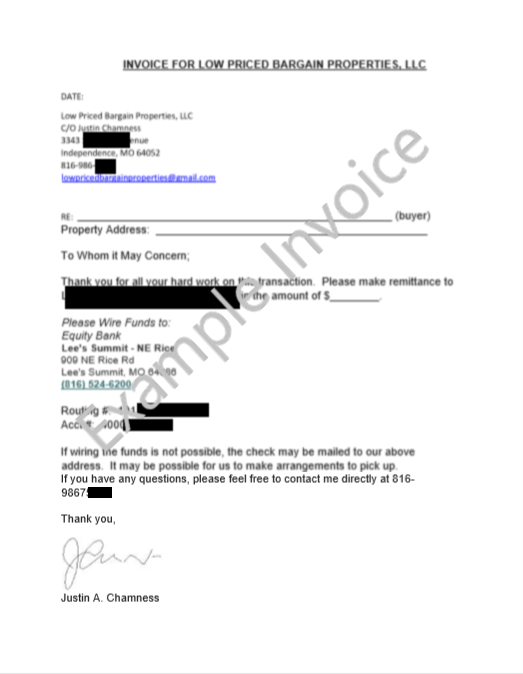 Also, Don't Forget to Include Contact Information for the Seller, YOU, and Your Buyer! Your Title Agent will Thank you! This can all be accomplished through email! In fact, most prefer it.